HR needs to take the lead to revamp the approach to recruitment in view of boosting the attractiveness of the employer brand, says Rhona Tasmia, head of human resources at HALO Creative & Design (Timothy Oulton). The big shift in HR practices in recruitment is the renewed focus on candidate experience. As much as a candidate tries to make the best impression in an interview – it is equally imperative to provide a recruitment experience to candidates that goes beyond just the job they are interviewing for. This is a critical factor in building and maintaining employer branding and attractiveness in the growing market of potential talent. I consider candidates as our customers. As they say, “one customer well taken care of could bring more value than thousands of dollars’ worth of advertising”. In the same way, if we create a positive customer-centric experience during the recruitment process, candidates will remember and talk about it among peers, and word of mouth in building brand attractiveness is a powerful weapon. In the growing competition to attract and retain talent, in my opinion, the future is about building and maintaining a brand that people want to work for. This starts from the very first interaction with an applicant or a potential candidate and continues throughout the experience and journey that we offer them. Technology has already enabled the shift towards a candidate-focused experience. 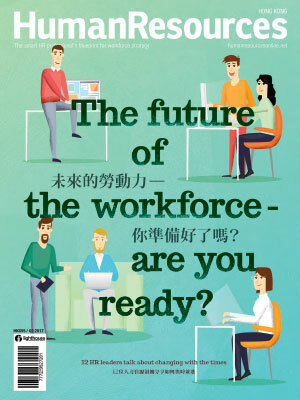 With the evolvement of AI, it will continue to facilitate the journey across the spectrum, from responding to applications and queries from a wider international market, sharing timely feedback, online assessments which candidates can take in their own space/time for convenience, through to the conclusion stage. For employers, it allows tracking of a fair selection process, getting feedback from candidates about the recruitment process and experience – all the while ensuring the candidate engagement and experience. Candidates, the Millennials and Gen Y in particular, are increasingly more conscious of company and workplace culture, degree of flexibility and autonomy in roles and work/personal life balance as influential factors in determining the kind of organisations they want to work for. Therefore, HR practitioners like ourselves need to take the lead to revamp the approach to recruitment in view of boosting the attractiveness of the employer brand and which reflects the culture and values of the company. It’s not only in the reviewing of the process, but a shift in the mindset. It's a company's worst nightmare when the boss makes a mistake like this, especially when the email finds its way onto Twitter. .. The countries they are from is not available, but here are the industries the bulk of foreigners work in. .. The biggest gripe for HR leaders from China, Japan and Singapore lies in overcoming "Excel hell" to access employee data. ..